Maldives Transport and Contracting Company (MTCC) has completed the land reclamation project as part of the development of Funadhoo Airport. MTCC completed the reclamation of the 21 hectares land area on March 14. The reclamation project was carried out by the new dredger, which is the largest vessel in the easy dredge series of standard twin-screw trailing suction hopper dredgers. 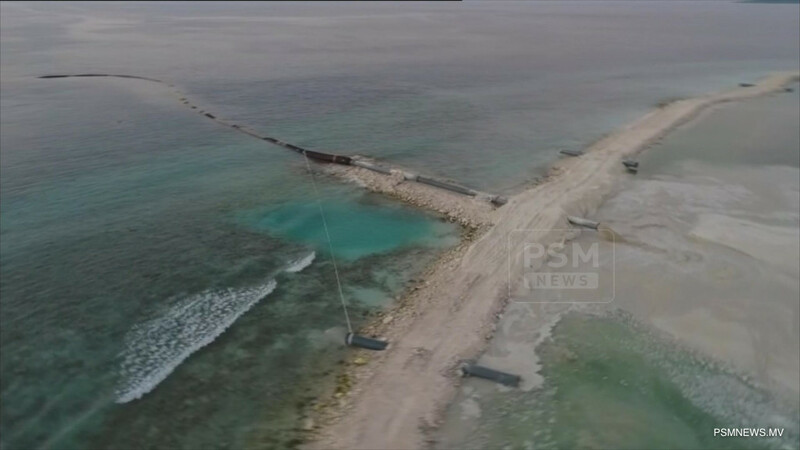 The first airport in Shaviyani Atoll would be developed at a cost of USD 5 million. In addition to the land reclamation project, MTCC is also contracted to develop the runway, apron and taxiway of Funadhoo Airport. Furthermore, MTCC is contracted to complete the construction of 4 airports this year, including the development project of Kulhudhuffushi Airport which should be completed by July. The government has also contracted MTCC to construct key structures of Maavarulu Airport within a period of 160 days. The USD 3.7 million project includes a 1,220 metre runway, a taxiway, an apron, and a jetty. MTCC is also expected to complete the development of Nilandhoo Airport before the end of the year.